October 22, 1999, changed the course of both Chris and his wife Amy’s lives forever. A fire broke out in the school building where Chris worked as a Counselor. During the evacuation he was struck in the head with a steel fire door, hitting the concrete floor and briefly knocked unconscious. He sustained a serious traumatic brain injury on that fateful day. By the time Chris was admitted into an inpatient rehabilitation hospital he was unable to walk on his own, talk, feed or bathe himself, or do virtually anything that one takes for granted. Over the next 16 months Chris received intensive inpatient and outpatient rehabilitation therapy, which was a great help during the initial healing process. Over the next several years Chris and Amy endured countless challenges as they adjusted to this life changing event. Over time, with the help of many doctors and therapists, participation in support groups, the encouragement of family and friends, and Chris’s unwillingness to give up or give in, they have made it through the storm. This journey has provided insight into a world of re-discovery, re-direction, and has re-defined the way Chris and Amy perceive their relationship and the world around them. You will often times hear Chris say how fortunate he is to have been able to redefine a new life purpose, and to have reclaimed pieces of his prior professional counseling career helping others through their own personal life adjustment. Since 2006, Chris and Amy have been very active pursuing this newfound passion. In addition to facilitating a support group for brain injury survivors and caregivers in the NorthWest Valley of Arizona for several years, Chris and Amy are actively involved in brain injury awareness projects, education and training programs, transition programs for young adults with brain injuries and providing public speaking services throughout the country. restore hope, reclaim purpose, and “Aspire To Move Forward.” They also train professionals who treat the brain injury population at workshops, training seminars, and in-service training programs. More often than not, most people remark that they would not have known Chris was a brain injury survivor if he didn’t speak about it during a presentation. Over the course of Chris’s career he has designed and delivered peer leadership training programs for young adults and in-service training programs for teachers in secondary education. In addition to Chris’s professional counseling experience in secondary education, he has also worked as an alcohol and substance abuse counselor in New York State. As a result of their personal experience, Chris and Amy were inspired to provide support for others who find themselves at a crossroad in their own lives. ASPIRE PLACE, a Personal Life Adjustment Coaching and Consultation company was founded, where they combine their professional experience with their passion to help others. 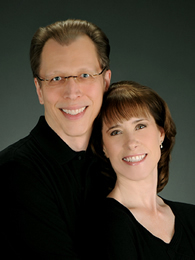 Chris and Amy are also co-authors of Learning To Live Again… A Day At A Time, which can be purchased on this website. Amy holds a Master’s degree in Business Administration and a Bachelor of Science degree in Criminal Justice. She also is a Certified Paralegal. Amy’s professional experience ranges from a career in banking and finance to working for a non-profit organization in Arizona that serves the needs of the brain injury community. She has trained work groups and business executives in policy and procedure regulations in the business banking sector in New York City and Arizona. Amy also facilitates support and discussion groups. Amy balances her banking career with her passion to support those who are going through life adjustment and transition challenges related to living with brain injury. Chris holds a Master of Arts Degree in Counseling and a Bachelor of Science degree in Psychology. He has worked in the counseling field for over 20 years, and is a New York State Credentialed Alcoholism and Substance Abuse Counselor Emeritus, retired Credentialed Prevention Specialist and Guidance Counselor. His international consulting experience includes working with the University of LaVerne (Athens campus) and with Akita University (Akita City, Japan).